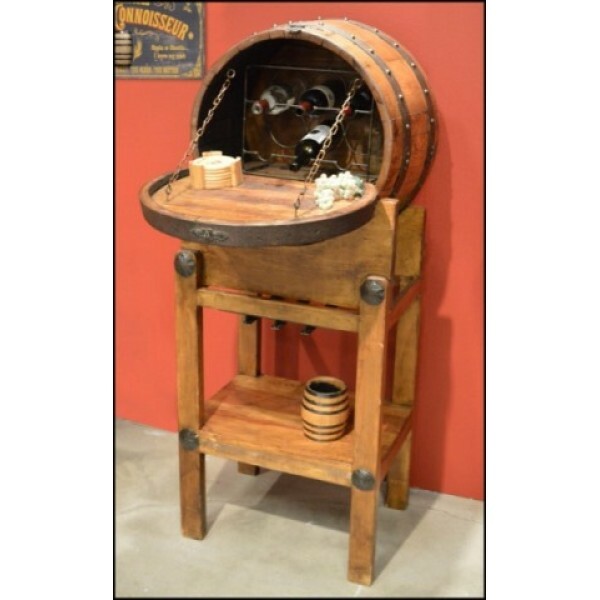 This barrel serving stand is made from a reclaimed bourbon barrel. Holds six bottles of wine, whiskey or any other adult beverage worthy of this fine piece. Stands approximately 60" high by 24" wide.